We’d love your help. Let us know what’s wrong with this preview of Love Yourself Like Your Life Depends on It by Kamal Ravikant. In December of 2011, I gave a talk to an audience of scientists, Pentagon officials, politicians, and CEO's on the secret of life and how I'd figured it out the previous summer. Afterwards, people came up individually and told me how much what I'd shared meant to them. This book is based on the truth I spoke about. It's something I learned from within myself, something I be In December of 2011, I gave a talk to an audience of scientists, Pentagon officials, politicians, and CEO's on the secret of life and how I'd figured it out the previous summer. It's something I learned from within myself, something I believed saved me. And more than that, the way I set about to do it. This is a collection of thoughts on what I learned, what worked, what didn't. Where I succeed and importantly, where I fail daily. The truth is to love yourself with the same intensity you would use to pull yourself up if you were hanging off a cliff with your fingers. As if your life depended upon it. Once you get going, it's not hard to do. Just takes commitment and I'll share how I did it. To ask other readers questions about Love Yourself Like Your Life Depends on It, please sign up. I have been trying for hours but still I couldn't get a copy of this book on my phone.On google play there are only 30 pages.what about the full version? Yes, the book is short, simple and reiterates a familiar self-help axiom. No, it's probably not going to tell you anything you don't already know, at least intellectually. But here's the thing: It's a really, really good place to start when you are so low you've forgotten everything you ever knew about being happy. It's simple, stuff, really, the way he presents it. But it isn't so simple or obvious for the person who lives within a paradigm of fear. When dealing with anxiety (which is closely re Yes, the book is short, simple and reiterates a familiar self-help axiom. No, it's probably not going to tell you anything you don't already know, at least intellectually. It's simple, stuff, really, the way he presents it. But it isn't so simple or obvious for the person who lives within a paradigm of fear. When dealing with anxiety (which is closely related to depression) the most "commonsense" reaction is to try to treat the fear and get yourself to just be "brave". I personally spent years chasing demons before I realized that this doesn't get you anything but more fear. You can't fight fear. But you can shift it into something else. It is my opinion, that energetically speaking, love is the opposite of fear, rather than courage (which is really just fear you are willing to confront), and this is why "loving yourself" so effectively addresses fear. Fear makes it very difficult to experience love. But the opposite is also true, and this is the magic of the book. The more you can pull yourself towards the love end of the continuum, the more you squeeze out fear. My main takeaway is this: Anything worth attaining, including your own happiness, takes practice and work. A couple months ago, when I temporarily got lost [See: How to Get Lost] and forgot why I was traveling, I came to a simple realization: To prevent this from happening again, I must constantly remind myself why I’m here. From that point on, I decided that every single day, I would reconnect with The Why. Daily. Constantly. Always remember why. From this realization came another, simpler realiza My main takeaway is this: Anything worth attaining, including your own happiness, takes practice and work. From this realization came another, simpler realization: Anything worth attaining takes practice and work. Including something as simple as reminding myself why I’m traveling. In this stream of thought, two types of people came to mind: Athletes and Monks. Why does the athlete practice daily? Why does the monk pray all day, every day? Both the athlete and monk know their goal. And they know the optimal physical or mental state they need to reach their goals. They know because they’ve been there before. But they’re not always in that state. The athlete needs to be focused. She knows what it feels like to be focused. She’s been there before. She’s felt it. The monk needs to be present and one with God. He knows what it’s like to be in that perfect state. He’s been there before. He’s felt it. But although they know the state they need to be in, getting there isn’t easy. Reaching that state takes practice. So the athlete practices daily to help herself get closer, more quickly, to that peak physical and mental state. The monk prays constantly to help himself reach that state of consciousness and oneness with God quicker and with more intensity. Their goal is simple, but it’s not easy. Unfortunately as humans, we’re not perfect. We can’t just flip on a switch to reach a certain physical, mental, emotional state. But with practice, I think we can get there quicker. The same thing goes with happiness and inner peace. This is where Love Yourself comes into play. There will always be Ups. There will always be Downs. There are times when we feel aligned with the universe and everything is going great. Then there are times where we feel down and nothing seems to be going our way. We know the feeling of being on top of the world. But reaching that physical, mental, or emotional state takes work. It takes constant, persistent, dedicated practice. The key is accepting that both the Ups and Downs will happen. And the challenge is in prolonging the Ups and shortening the Downs. Getting there takes practice. I received this book recommendation from a friend. She battles depression and said this book helped her cope with some of her negative thoughts. I knew this was about 68 pages so it wasn’t going to be overwhelming with self-help points. I liked what the author did with this book. He didn’t dumb it down and he didn’t try to say more then what was needed. If you battle negative thoughts and struggle with mental health issues, this might help you as it helped my friend. Good advice to change the negat I received this book recommendation from a friend. She battles depression and said this book helped her cope with some of her negative thoughts. Good advice to change the negative loop in your head to something positive. I think we can all work on this concept in a society that tries to pull you down. Say this constantly throughout the day or even while having tough times in your life. "I love myself. I love myself. I love myself." It’s not as easy as you would think. Very short, very simple book. The basic idea is that you repeat "I love myself" over and over in your head as a mantra, choosing to repeat that instead of the other junk that usually loops non-stop in there until you wear a new groove with it, deeper and better than the old ones. I probably would have dismissed the idea out of hand, but someone I respect a lot tried it and got results within only a few days. Ok, I'm game. I've been trying for years figure out how to love myself unconditionally. Very short, very simple book. The basic idea is that you repeat "I love myself" over and over in your head as a mantra, choosing to repeat that instead of the other junk that usually loops non-stop in there until you wear a new groove with it, deeper and better than the old ones. I probably would have dismissed the idea out of hand, but someone I respect a lot tried it and got results within only a few days. Ok, I'm game. I've been trying for years figure out how to love myself unconditionally. Maybe I was making it too complicated. The other pieces of the puzzle are a simple meditation, basically breathe in "I love myself" and breathe out whatever comes up, and a question: "If I loved myself truly and deeply, would I let myself experience this?" That question knocks me out. I'm definitely using that! "James Altucher, in one of his best blog posts, talks about how he stops negative thoughts in their tracks with a simple mind trick. 'Not useful,' he tells himself. It's a switch, a breaker of sorts…"
If you are in a funk I highly suggest you read this short but very magical book. My interview with the author, Kamal Ravikant. In an interview with author Vani Kaushal, American author Kamal Ravikant who wrote two bestsellers opens up on his craft, philosophy, and outlook on life. Ravikant is famous as a writer. But in the United States, he is more popular as a Venture Capitalist, motivational speaker and founder of many start-ups in the Silicon Valley. According to Bloomberg data, Ka My interview with the author, Kamal Ravikant. According to Bloomberg data, Kamal Ravikant heads California-based RevNetics Inc as its founder and CEO. 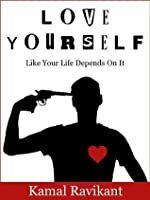 Ravikant’s first book Love Yourself Like Your Life Depends On it has an important message that loving oneself truly and deeply would lead to the complete transformation of that person’s life. The American writer’s latest book: Rebirth: A Fable of Love, Forgiveness and Following Your Heart has that idea reverberating yet again. Vani is a well-known author and columnist in India. This former Times of India journalist published her debut novel The Recession Groom in 2015 and received widespread critical acclaim. Vani contributes regularly to Quint, Scroll, and Huffington Post. More about Vani can be seen on her website www.vaniauthor.com. What is it like to truly and deeply love yourself? First, it is a practice. Like going to the gym, brushing our teeth. Call it a focused practice. The results are that one is naturally lighter, happier, and life just works better. At its very essence, it is living in the flow and magic of life. And then again -- a book about loving oneself! -- Do you think a theme like that needed a book? Yes. I wrote the book I wish someone had given me when I was down. No fluff, only actionable and practical truths. Don't people already love themselves? I haven’t met many. If they did, the majority of their personal dramas wouldn’t exist. With respect to the exercises you share with the readers (looking in the mirror, meditation etc), do you think these techniques really help? These are what I came up with when I was bottom to literally save myself. They worked for me. I shared them with friends. The exercises worked for them. I shared them in my book. I have thousands of emails from readers sharing how they work for them. All the exercises are simple. Doesn’t matter how old you are, what your color or religion is. What matters is that you’re human. We all have the same monkey minds. Thus, solutions that work effectively are simple and work for all. Do you believe that if a person just loves himself, he can turn around the environment that surrounds him? How does it change anything? How can it not? Try it. You’ll find yourself making better choices in your life easily and naturally; ones that serve you. And as you get better, the world around you gets better. Things just work that way. That’s what I’ve learned. How many days did it take you to write this book? It took me over a month to write this book. That was full-time from waking to sleep writing. I cut out 90 percent of what I wrote. I edit with an axe. My goal was to share only the truth that saved me and some thoughts on it; just enough to get the reader to try it. Then, the journey is theirs. Life-changing. I get so many emails, tweets, and reviews from readers all over the world. That’s the power of sharing your truth - the ripples have far greater effects than you can imagine. I’m extremely grateful for it all. Would you not like to write a book for women. They are trained from their childhood to keep their family/husband/father/brother etc first, before themselves. We see it in our homes all the time. I wrote a book about fundamental human truths that apply to everyone. Women, men. It doesn’t matter. We all needed to love ourselves truly and deeply. As a writer, I want to write fundamental human truths that apply to any reader. Does loving yourself mean lack of fear? No. You just don’t pay attention to them. Or, sometimes you laugh at them. Does it mean that one become selfish? Depends on how you define “selfish.” It does mean that you tolerate less garbage from others. It does mean that you remove what doesn’t serve you in your life. It does mean that you make choices that are for your good. If that’s considered “selfish,” I’m ok with that. Can it help conquer doubt? Doubt is just a shade of fear. Let it come. Let it go. The monkey mind plays its games. When you love yourself truly and deeply, these affect you less and less. Make a person more self-confident? How can it not? Self-confidence is a belief in oneself in a healthy way. If you loved yourself truly and deeply, you would naturally give yourself that. Any practices that you could suggest -- aside meditation, of course -- that could help create loving thoughts/feelings about oneself? Life is simple. It is the mind that makes it complicated. What I’ve learned is that instead of the mind-wrecking havoc, it’s better to focus and use it instead. So any focused attention on what can make you better - gratitude, loving yourself, loving another, etc. - all can be vehicles for helping create loving thoughts and feelings. Could you tell our readers a bit more about your forthcoming title? Is it available in all formats? My novel, Rebirth, was published last year. It tells the story of Amit, a 26-year-old Indian American who travels to India with his father’s ashes and then ends up in Spain. There, he walks an 11th Century 550-mile long pilgrimage. Along the way, he meets other pilgrims and they share with him the stories and lessons of their lives. Ultimately, it is a story about love, forgiveness, and following your heart. It is based on my journey after my father passed away. If you are literate, you should read this book. I hate this book. It disgusts me. Every word of it feels like a lie. But here’s the problem: i know why it made me sick; i know why reading (listening to) it felt like being constantly punched in the gut. I had to stop every five minutes to literally keep myself from throwing up. It made me angry. But i kept going back. Every time, when the nausea passed, i picked up where i’d left off. I took it like the awful, revolting medicine i wanted it to be; i took it in, hoping that somehow it might actually work. I wanted to believe in it; but i did not; i did not believe in any of it at all. I’m scared. I don’t want to hurt myself again. I’d forgotten about that moment, until i read this book; i don’t mean i actually couldn’t remember it until the book (“magically”) reminded me. I mean i had let that moment get buried under all kinds of other garbage. It’s not fun to remember being in the hospital; it was a very scary, dark, unhappy time for me. But it was also something else. I was witnessing something that moved me; i was seeing something mundane in an extraordinary way. These people helping one another, without fanfare or even commentary; these acts of kindness, gentleness, even when performed with a cool professionalism; these facts; they coalesced in front of me, and i felt something… I felt love. It is easy to dismiss this; i was “crazy”, wasn’t i? Yes and no. I was in a very vulnerable and volatile state of mind. But i was also, by the same token, open to thoughts that were new. This was a new sort of idea; the poor word love, so routinely abused, so trivialized by overuse; the idea of love as an actual force, as a presence permeating our species — unevenly, inconsistently, and “weakly” (in the sense of John Caputo’s weak theology) — was new to me. And i promptly forgot about it. I had work to do; i have two kids (only one at the time); i was in graduate school; i was in the midst of a broken relationship — my partner and i were in counseling, and she was working hard with me to keep fear and guilt from interrupting our communication. I kept that chocolate bar package, i think; it’s somewhere in my unfortunate hoard of stuff. But i very rarely thought of it. Until i was reading (listening to) this book. I cannot express my disdain for this cover. This is pretty much THE LAST COVER I need clients to see as they battle suicidal thoughts or ideations. And people are right, this is fluff. Even if it wasn't, I still could not use this because THE BOOK HAS A FRIGGIN' SILHOUETTE OF A DUDE WITH A GUN TO HIS HEAD. Cut it out man! Mayhem and foolishness. At the most this was a half hour read. It right from the heart though. A personal journey of thriving despite detrimental failures and overcoming hopelessness despite loss. It has a very simple yet powerful message. Read it. A 68 paged book about loving oneself. On an honest note I did not think my interest or patients was going to last but strangely enough I enjoyed every word of it. This book starts off with the author rather than talking greatly of himself and how many books he has sold like other writers would do, he writes of himself in a lower status of emotional confidence which I found extremely ironic considering the title of the book. As I continued on to read it started to feel like a speech, but not a ba A 68 paged book about loving oneself. On an honest note I did not think my interest or patients was going to last but strangely enough I enjoyed every word of it. This book starts off with the author rather than talking greatly of himself and how many books he has sold like other writers would do, he writes of himself in a lower status of emotional confidence which I found extremely ironic considering the title of the book. As I continued on to read it started to feel like a speech, but not a bad one. More like an awesome TED Talk that I wouldn't forget. He talks about the process of getting a person to love oneself and the how to over come all the issues that might arise leaving his plan flawless. It was written in such a way that he was able to talk about his experiences and directly to the reader on how to go through the right proceeders so smoothly that it is literally almost unnoticeable. Each chapter named after each step in the process of "loving Yourself" and the books small size made it pass so fast that when your done reading I feel like I want to do all that was explained. Yeah.. I didn't like this book at all. It's supposedly on some "Top Books To Read Before You're 25" list, but I found it superficial, lacking in substance and I thought it has the potential to cause a lot of people harm. All through reading the book I kept on thinking what if Raskalnikov from Crime and Punishment was reading this? Or Heathcliff from Wuthering Heights? Or Jane Eyre? It seems ridiculous to think of these brilliant characters, these extraordinary people overcoming the trials they fac Yeah.. I didn't like this book at all. It's supposedly on some "Top Books To Read Before You're 25" list, but I found it superficial, lacking in substance and I thought it has the potential to cause a lot of people harm. It seems ridiculous to think of these brilliant characters, these extraordinary people overcoming the trials they faced by repeating to themselves "I love myself". It's absurd. This whole book seems like recycled pseudoscience, with borrowed ideology from many traditions and areas, that has been washed down and diluted to the point where it has little meaning. This review has been hidden because it contains spoilers. To view it, click here. I am not the one to write reviews, but this book makes me want to. So here I go. Basically the whole book is summarized in the title. How to do that? Three tricks. And then... your life will be transformed. Everything will magically change. (His words, not mine.) And if it doesn't you are probably not working hard enough. I read selp-help books on a regular basis, so I am not against the genre, but this is just a very bad one. I have never encountered a book that promised so much with so little wo I am not the one to write reviews, but this book makes me want to. So here I go. I read selp-help books on a regular basis, so I am not against the genre, but this is just a very bad one. I have never encountered a book that promised so much with so little work. Are you unhappy, depressed or anxious? I would suggest reading a book about mindfulness. It will probably give you the same result, but with more realistic promises. Quick read, some good (but difficult to follow) advice as I find it hard to stop the negative thoughts in my head that have been built there as he says as pathways, some since childhood - but worth trying, nevertheless. And this reinforces so much of what I've read in other books about the value of meditation. "The key, at least for me, has been to let go. Let go of the ego, let go of attachments, let go of who I think I should be, who others think I should be." "Fea Quick read, some good (but difficult to follow) advice as I find it hard to stop the negative thoughts in my head that have been built there as he says as pathways, some since childhood - but worth trying, nevertheless. And this reinforces so much of what I've read in other books about the value of meditation. "Fear strengthens the ego. Love softens it." *commit to a thought, repeat it, keep on repeating it until ingrained. *when caught in negative loop, flip the switch onto a positive mind set. *thoughts are like clouds, we can choose which ones we focus on, and for how long. "This book could have been a cover, plus one almost blank page with two words in the middle: Love yourself." I find myself wishing that it was. It's a short little book that's ironically still a little too long. It probably should have been a long blog post (at least for me, others love it). It went from 4* to 3* to the final 2. That's pretty sad. "When in darkness, don't fight it. You can't win. Just find the nearest switch, turn on the light." 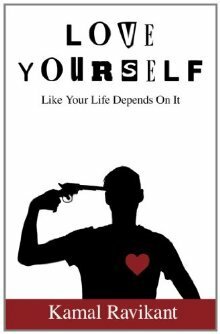 Book 49 is Love Yourself Like Your Life Depends on It by Kamal Ravikant. I wanted to love his book like I love myself but it felt like a sales pitch. Kamal did sound sincere and vulnerable but he also sounded like he was selling an inflatable version of self confidence. Not the fake self confidence but truly believing in yourself. As a disciple of cognitive behavioural therapy, I know you can reset your pathways and think differently. He didn't even touch the science around that. It was more of a " Book 49 is Love Yourself Like Your Life Depends on It by Kamal Ravikant. As a disciple of cognitive behavioural therapy, I know you can reset your pathways and think differently. He didn't even touch the science around that. It was more of a "I got dumped and now someone loves me" chant. I wanted to hear that he was OK alone, not that he was OK in a relationship. Disappointed at every turn, all I can agree with is something I've always told people myself: Give yourself oxygen before you help others. There are many better books on this subject. Don't waste a couple of hours on this. 2 sales pitches of 5. Should I read this? Sadly, no. Grab Brene Brown or Trevor Noah. There are many better ways to the same destination. It's basically a 99c ebook. You can hardly go wrong. Yes, the book's a teensy bit corny. But it's an interesting idea. Any time you go deeply into a practice like that, it can have those kinds of effects, whatever the practice is. Virtually all of us tend to neglect ourselves more than we should. Even when we finally improve some of those famous lifestyle habits in some important respects, the overall pattern often remains the same or similar. I don't think your perspective has to be the same as t It's basically a 99c ebook. You can hardly go wrong. This book is the simplest answer to breaking through. There is nothing wrong with falling in love with yourself. It's not about being cocky, selfish or putting yourself in your own world to forget about everyone else you love. It's about showing love to everything and everyone around you...by loving you first. Absolutely amazing understanding of how simple it is to be a human being, and how easily we can control our peace of mind. I ended up liking this book quite a bit. Its message can be seen as overly simplified. But I think that would be missing the point and dismissing the author's assertions as too elementary. The tone is easy to read and direct and you get a taste of the author's life, buy this a small, brief and fairly persuasive book. This was a waste of time. Fortunately not too much time. It is suited for people who are desperate for help, like some drug addicts or broken hearted low confidence folks, but who with the common sense could comit to the effort of repeating I love myself all the time? I am not convinced and to make it work, you have to be convinced without a doubt. I bailed out without finishing... I really don't have the time to spend all day every day telling myself I love myself. I thought self affirmation had been de-bunked long ago. My act of self love was to stop reading this and start reading a novel instead. I listened to this via Audible. Its short and sweet. I liked the tone of the narration and the simple message of the book: how powerful it is to practice have a loving self conversation on a daily basis. Quick read and very practical. Drive yourself into the "I love myself" mind loop. Meditate on this by breathing in "I love myself" and exhale out what the world has suppressed inside of you. Look in the mirror and repeat "I love myself" by looking into one of your eyes for 5 minutes. I found this book surprisingly touching. I didn't expect it to have such a deep or lasting impact. I found it through James Altucher's recommendation. A quick read, but worthwhile. I've been fortunate enough to have some amazing experiences in my life so far. I've trekked to one of the highest base camps in the Himalayas, meditated with Tibetan monks in the Dalai Lama's monastery, earned my US Army Infantry patch, walked 550 miles across Spain, lived in Paris, been the only non-black, non-woman member of the Black Women's writers' group, written a novel, held the hands of dy I've been fortunate enough to have some amazing experiences in my life so far. I've trekked to one of the highest base camps in the Himalayas, meditated with Tibetan monks in the Dalai Lama's monastery, earned my US Army Infantry patch, walked 550 miles across Spain, lived in Paris, been the only non-black, non-woman member of the Black Women's writers' group, written a novel, held the hands of dying patients, and worked with some of the best people in Silicon Valley.